Buying a house in Vietnam? VNRE – Housing is not only a great asset of individuals, households, housing is also considered a necessary condition ranks third after eating and wearing to help people can safely participate in labor, make wealth for society. For foreign investors need to do business, study and live in Vietnam, the housing is one of the top concerns when they enter Vietnam. Currently, the number of foreigners entering Vietnam to work and live through many different paths. According to statistics from 2004 to the end of 2007 had more than 80,000 foreigners, of which nearly 25,000 people entered Vietnam in the way investment cooperation, about 1,600 people entered Vietnam to work for foreign representative offices, international organizations and over 54,000 foreigners entered Vietnam and worked in the fields of health, education, culture and sports,… By the end of 2007 had more than 60 embassies and 30 consulates general, based in Vietnam. Out of about 1,600 foreigners worked in the diplomatic field in Vietnam, nearly 1,400 people worked for the embassy and more than 200 people worked in the Consulate. Besides above numbers, there were more than 30 foreigners working for 16 international organizations are operating in Vietnam (including UN organizations such as UNICEF, UNPA, UNDP… the other world organizations such as the World Bank, Asian Development Bank, International Monetary Fund…). a) To concretize the policy of the Party on the initiative of international economic integration in the direction of multilateralism, diversification, taking advantage of every opportunity to develop the country on the principle of maintaining independence and socialist orientation, national sovereignty and national cultural identity; creating the most favorable conditions for foreign investors doing business in Vietnam. b) Creating favorable conditions for foreigner experts, scientists, managers have better living conditions for stable, peace of mind working long-term in Vietnam. Creating conditions for foreign enterprises operating in Vietnam have conditions to create stable accomodation for employees working in those enterprises (regardless of domestic or foreigner), contribute to social welfare policy. a) Individuals are investing directly in Vietnam in accordance with the law on investment or working in enterprises in Vietnam (including domestic enterprises and foreign capital enterprises). b) Individuals have contributions to Vietnam and was offered medal by President Socialist Republic of Vietnam. c) Individuals have graduated university or equivalent degree, who have the knowledge and special skills which Vietnam needs. d) Foreign individuals married to Vietnam citizen. e) The enterprises are operating in Vietnam under the investment law need of housing for people working in businesses. These enterprises include joint venture between foreign investors to domestic investors and enterprises with 100% foreign capital, enterprises have foreigner worked on the basis of business cooperation contracts. – For individuals who must live and work in Vietnam, were lisenced to live in Vietnam for least 01 years. Diplomatic passports are not allowed to buy houses. – For enterprises with foreign investment which must have investment certificates or documents equivalent to the investment certificates issued by the competent authorities of Vietnam. – Housing is the apartment in the housing development project and not locating in prohibit or restrict areas. – The buying and selling houses must through the purchase contract was signed under the provisions of the Housing Law. In case, foreigners buy houses of the real estate businesses the housing purchase contract must not be notarized; If the purchase house of individual in urban areas, the housing purchase contract must be authenticated by the district People’s Committee; If the purchase house in rural areas, the housing purchase contract must be certified by the commune People’s Committee. – After signing the purchase contract, the parties must pay the financial obligations according to the State, after fulfilling financial obligations buyer must file the record to offer issuance of ownership housing certificate, including housing purchase contract, ownership housing certificate of seller and temporary residence paper of the buyer. – Time issues ownership housing certificate for buyers in the 30 days. a) Foreign individual only owns 01 apartments in the same time. Duration owned apartment is maximum of 50 years and owner only use to stay, must not for lease, must not use the apartment for other purposes. Owners can only sell or offer apartments after 01 years from the date of issuance of ownership housing certificate, unless special reasons that owners can not continue to reside in Vietnam such as sick must return home… is entitled to sell or donate the apartment before this deadline. When the time limit expired own house in Vietnam, the owners have to sell or donate the apartment for someone else, otherwise the ownership housing certificate will be revoked. b) Enterprises with foreign investment have rights to buy and own one or several apartments in the housing development for the employees are working in the business. The duration of ownership of the enterprise correlative to the time limit in the investment certificate issued. As for individual, enterprises can not use for be rented or use for other purposes. When the investment certificate expire or enterprise bankrupts, the apartment will be handled in accordance with the enterprise law, bankruptcy law and other regulations of Vietnam Law. The handling of violations: The organizations or individuals are the wrong subjects, unqualified or fake documents to own houses in Vietnam will not be granted ownership housing certificate. If after the issuance of certificates that are detected the certificate shall be revoked and purchased housing can not be used. In case foreigners use the house for illegal activities, foreigners will be expelled from Vietnam, the house will be resolved by decision of the Court and according to the provisions of the Vietnam law. 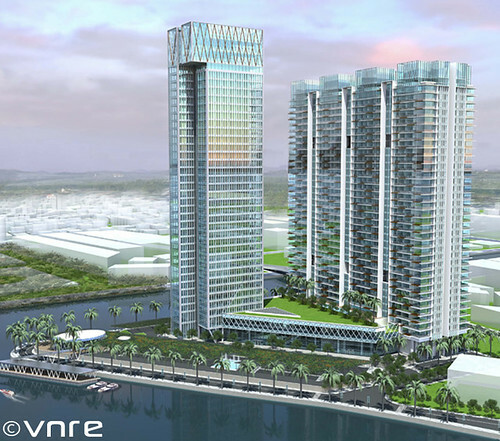 VNRE – Petrosetco SSG Tower project is located on an area 19,592 m2 at No.12AB Thanh Da Street, Ward 27, Binh Thanh District, Hochiminh City. 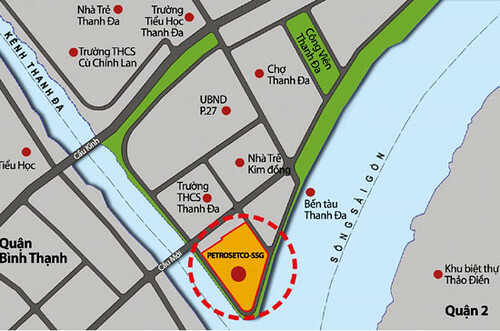 Located at the junction of the Saigon River and Thanh Da Canal, Petrosetco SSG Tower has an unique position in the perspective of the Saigon River in particular and urban strip in the east of Ho Chi Minh City in general. Total capital investment: VND2,000 billion ~ $100 million. Owner: Petrosetco SSG Joint Venture Company (PSSSG). 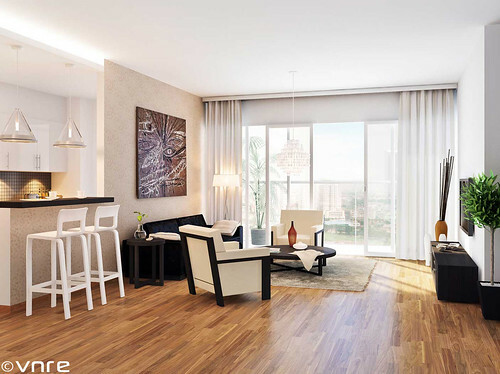 Mandarin Garden is built with the decisive idea of a highclass apartment combination in Trung Hoa – Nhan Chinh urban area where already have very good technical infrastructure. 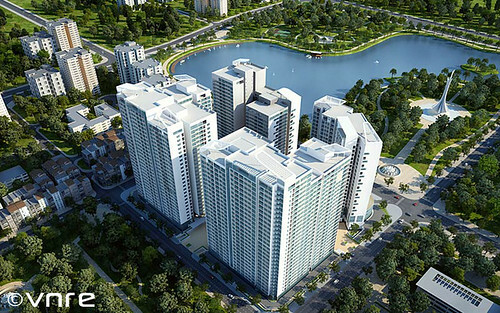 Besides, the project is located opposite the Nhan Chinh park lake is under construction. The project is built on the land area 25.886m2, with total construction floor area of approximately 230,000 m2, building density is only 36.4%. 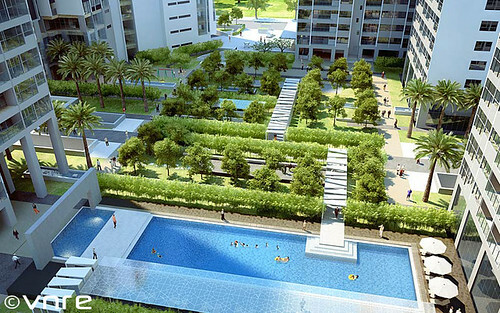 Mandarin Garden consists of 4 towers high from 25 to 29 storeys, provides about 1008 highclass apartments. Mandarin Garden is designed to add more facilities for residents such as Supermarkets, Shopping Mall, Parks and Community Center, Childcare Center, Outdoor Playground for kids and space for the old. 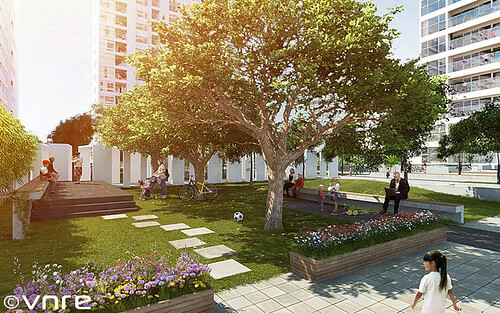 In addition, on-site services such as Multi-functional Gym, Yoga and advanced-spa system, Outdoor Swimming Pool will provide comfortable living for every family. Interior space was designed by Finenco Architects (Italy) with the idea of separating a quite space for bedroom area and a big space for living room and kitchen. 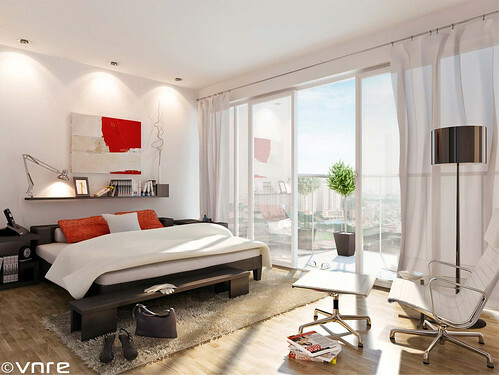 The functional rooms of apartment is logically devided for efficient uses and designed with airy space and windows to enjoy natural light and circulation. The project was started construction in 2010, so far it completed the foundation and opening of the model house. 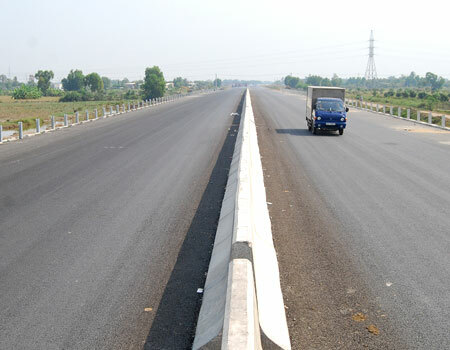 The entire project is expected to be completed in 2013. VNRE – On February 11, Mr. Ho Van Nien, Deputy Chairman of Ba Ria-Vung Tau People’s Committee had a meeting with the Ho Tram Project Company Ltd on some Issues related to the transportation of tourists to the resort when it comes into operation. Answer questions of investor about this project, Mr. Ho Van Nien said, Vung Tau airport may pick up tourists. Vung Tau airport has helicopter for sightseer tenants. In addition, in Con Dao district also has an airport can pick up great visitor numbers. Besides, in Long Thanh district (Dong Nai), Long Thanh International Airport is implementing the construction to replace the Tan Son Nhat Airport in Ho Chi Minh City. The airport is just far from Vung Tau City about 60km. At the meeting, representatives of the Ho Tram Project Company Ltd committed to timely implementation of projects registered with the PPC. Specifically, February 2013 phase 1 of the project will put into operation. Up to this time the investor has disbursed about U.S. $110 million, in 2011 will disbursed more $150 million. Ho Tram Strip project has total investment capital registered $4.23 billion, five-star standard, the total area of 164ha, located in Phuoc Thuan commune (Xuyen Moc district, Baria-Vung Tau province). 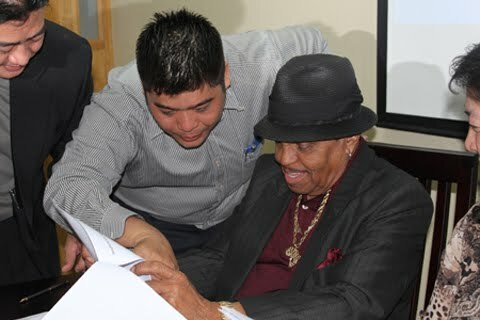 VNRE – Michael Jackson’s father, Joe Jackson, arrived in Vietnam Friday to sign an investment agreement for a hotel in the southern province of Long An, local news website VnExpress reported Saturday. The 82-year-old father of the pop legend will be one of the investors in a five-star hotel located in Happyland, slated to become the country’s largest entertainment complex when it is completed in 2014. 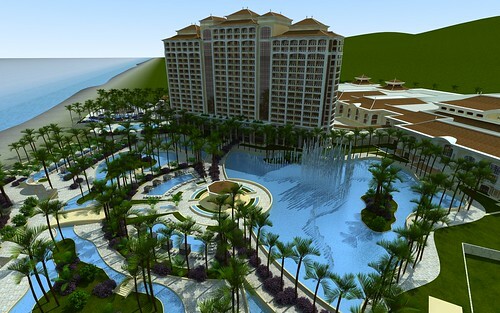 The hotel will cover over 15 hectares and have 1,000 rooms, according to the news source. Jackson attended a signing ceremony on Saturday morning and would also join the groundbreaking ceremony of the US$2-billion complex this Monday, the report said. 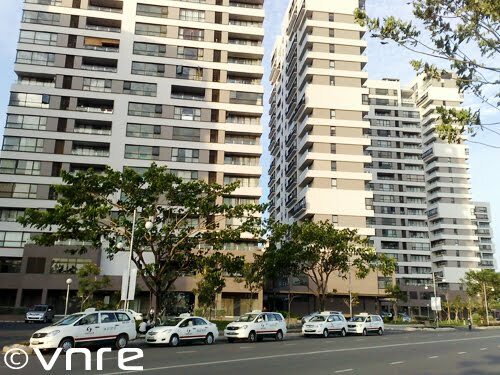 VNRE – The real estate market in Can Tho City is flourishing with price increases of between 10 and 15 per cent over last year, according to a report by Savills Viet Nam Ltd.
Savills, a 100 per cent foreign-owned company and the largest real estate consulting firm in Viet Nam, said the average price of land in Can Tho was about US$311 per square metre, up 10 per cent compared with last April. Unfinished houses were priced at $515 per square meter, 15 per cent higher. Significantly, many recently launched housing projects sold out their products very soon, the report said. Independent market observers have concurred with the report. They said that after being sluggish for a long time, the Can Tho real estate market had recovered strongly with an increasing number of successful transactions. The Can Tho Housing Development and Trading Company, for instance, sold 300 house foundations within three days of offering them. This had never happened before, they said. Construction and Investment Joint Stock Company No 8 also sold 500 houses recently under its Hung Phu project for the Petrol Vietnam Finance Company. The number of people looking for opportunities to buy houses in the Hong Loan Property Company’s My Hung Urban Area and the My An Residential Project has also increased significantly early this year. A representative of the Mekong Real Estate Company (Mekongland) said the number of real estate transactions as well as prices in Can Tho City early this year were about 15 per cent higher than figures recorded in late 2010. Properties in the Hung Phu urban area were the most sought after, he said. 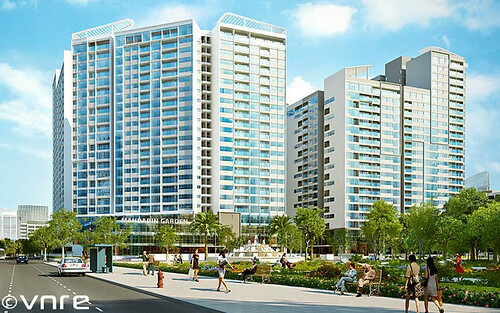 Analysts attribute the Can Tho real estate market’s recovery to the recent development of infrastructure in the city and surrounding areas that vastly improves access to and connectivity with the city. A series of infrastructure development projects have already been completed, or are being implemented, including the Can Tho Bridge, the Tra Noc International Airport, the Dinh An Port and the Can Tho City-Chau Doc-Phnom Penh Express Way. 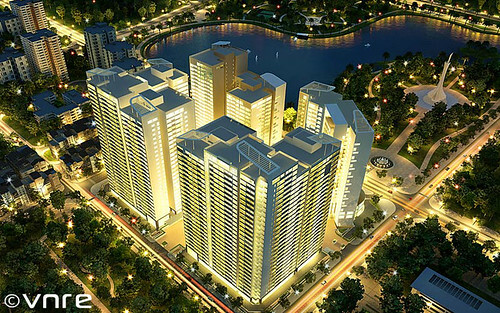 Many property investors from Ha Noi, HCM City and neighbouring provinces are looking for opportunities in Can Tho, giving the local market a boost. Truong An Duong, head of Savills Viet Nam’s Market Research department, said Can Tho had many favourable conditions to develop its housing industry. It had a large land fund that was also more easily amenable to planning new residential areas, Duong said. He noted the city had nine projects that were selling unfinished houses and 10 others selling 11,000 land lots and 4,500 finished houses. These numbers were still too small compared with the 1.2 million strong population of the Mekong Delta city, the Savills Vietnam report said. The Nguoi Lao Dong(Labourer) newspaper has said city administration will replan the city to ensure it would have more than 40,000 hectares for housing development by 2030. The paper also reported that an additional 25 housing projects covering a combined area of 1,000 hectares will be introduced to the market this year. 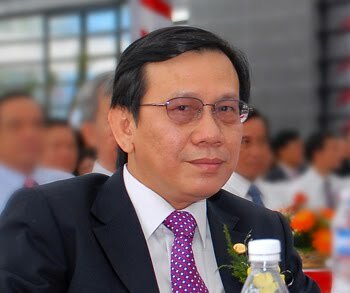 Can Tho City is inviting foreign and domestic enterprises to invest in projects like the construction of industrial parks, office buildings, apartment buildings and tourism properties, said Tran Thanh Man, chairman of the Can Tho People’s Committee. VNRE – Housing supply, especially the mid-end segment, has increased significantly, forcing many project developers to fight for customers and to offer different incentives to woo homebuyers. Although there is a huge housing demand out there in the society, many people are unable to afford houses for different reasons. The Saigon Times Daily: It is reported that the market last year focused more on the mid-end apartment segment, and the tendency is expected to continue this year. What do you comment on this trend? – Le Chi Hieu: The demand for the mid-end apartment segment accounts for over 40%; the luxury segment some 20% and the rest is for low-cost condo segment. 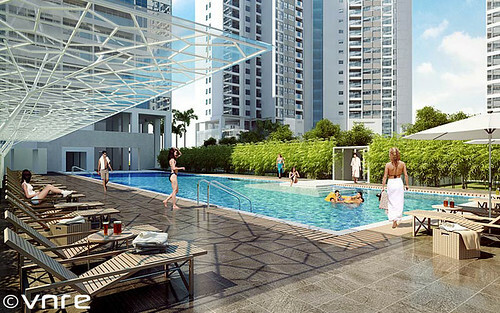 Therefore, the two segments of mid- and high-end apartments are leading the market, thus it is understandably seen why many project developers target middle-income earners. However, the mid-end apartment segment can include different sub-categories. A project can be designed with high-quality building materials and offer different serviced facilities, and thus its selling price is higher. Meanwhile others come with cheaper building materials and offer poor living spaces. 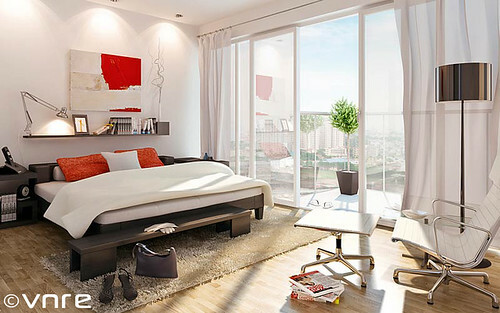 The utmost purpose is to reduce the apartment cost price, and as a result those condo projects are of lower quality. In general, the cheapest thing is the dearest. Given the current market trend, it seems that the luxury segment will continue to face challenges this year? – This segment will continue to face tough challenges ahead. It, however, depends on the location and the developer’s brands. For example, a luxury condo project that we have joined hands with Korean developer Cantavil to develop has seen a positive feedback in the market. The project is on its second phase development with two 36-storey buildings and sections for commercial services and other serviced facilities, and apartments are offered from US$1,650 per square meter (over VND32 million). Although the project has not yet finished its foundation, homebuyers have deposited for some 40% of the total number of the project’s apartments. This is somehow proved that there still has demand in the luxury segment, provided that developers offer a reasonable price. At present, many developers in this segment have to cut apartment prices or to use tactics of sales programs including supporting loan interest to woo buyers if they do not want to see their capital investment sink into their condo projects in the wake of the current high borrowing rate. That is the big challenge for developers. 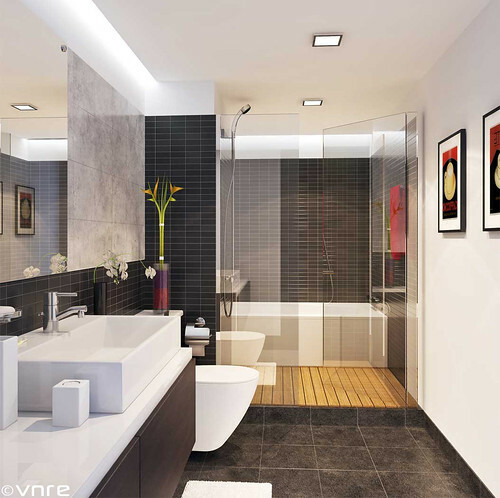 The so-called affordable apartment is priced between VND15 million and VND18 million per square meter. However, as compared with the current common income, the housing price is beyond homebuyers’ financial capacity. What do you think about that? – In fact, potential homebuyers must be middle income earners if they are to afford a mid-end apartment, and reality shows that many such people still cannot buy low-cost apartments for their own. However, we still see demand in the middle segment as the number of buyers with better income is increasing. The current problem is how to match the housing price with the buyers’ pockets in the wake of inflation that has triggered prices of building materials and labor cost to soar, pushing up the apartment price. Another factor causing the housing price to soar is the credit tightening policy and the high lending interest rate besides the impact of Decree 69 that requires developers to pay land use fee matching market prices. To wake up the market, the Government should issue a different policy in land use fee, or else the housing price will continue to go sky-high. The housing market is witnessing abundant supply, and of course a strong competition is unavoidable. How do you comment on the market movement? – The apartment supply in the mid-end segment has increased for two straight years since 2009 as many developers have been joining this segment. It is sure that the competition has intensified day by day. However, the competition is not a direct fight among developers because property is unlike other products which can be launched for sales en masse, but it depends much on geographical locations. The current problem is the purchasing power which despite a steady increase is still lagging behind housing prices. The local property market used to see many developers enjoy a big profit margin thanks to housing price rising sky high in the past. However, the golden days are gone. Many developers are fighting for buyers by offering good prices and incentives including supporting buyers with interest sums when taking out bank loans in a move to quickly clear their stock. How do you foresee the property market in the coming time? – Any developer will expect a growing market and a higher purchasing power in the coming time. Foreign capital investment is flowing into the country. It is expected that the local stock market will turn rosy in the first half of this year. Then many investors will realize their profits by shifting to property investment, thus I project the property market will look brighter from the second half of this year.